When you think of the rap game in our generation, two major artists come to mind, Future and Drake, so how convenient that the two legends decide to make a mix-tape together. Most albums take years to make but the duo polished off this mix-tape in just a span of 6 days. Within this extremely short period, Future and Drake somehow managed to write, record, and produce 11 songs. 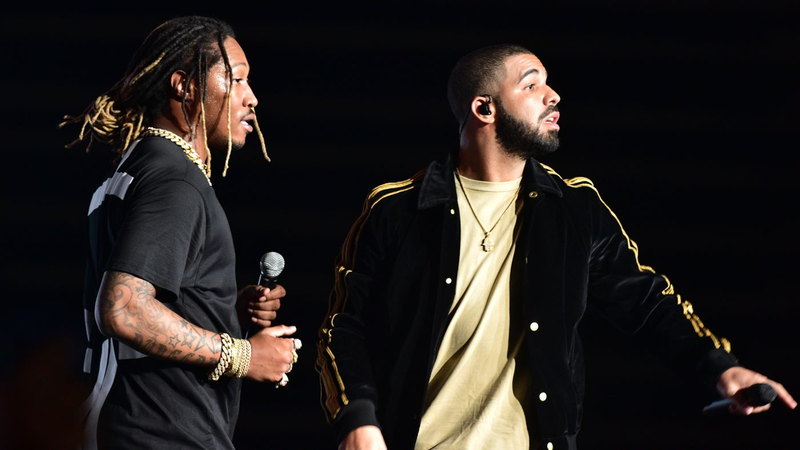 The tracks on What A Time To Be Alive, WATTBA for short, are all very different. Featured songs such as Change Locations and Diamonds Dancing are remnants of the 2010 “Thank Me Later” Drake album known for the slow-paced, mellow beats and lots of singing rather than rapping. On the other hand, you have songs such as Big Rings and Jumpman which are more fast paced and more closely linked to his newest album, “If You’re Reading This It’s Too Late”, which has very heavy rap influences and little to no singing or soft melodies. In addition to Drake, Future also comes alive in this album. He goes in on several songs such as Scholarships and Jersey, whose lyrics allude to his new-found lavish lifestyle. These pieces are extremely similar to his previous albums like “Beastmode” and the “Dirty Sprite” duo. Futures music is known for his heavy trap influences and fast paced rapping. The pair has made quite an impact on the rap game with this extremely influential mix-tape. Having only been out for a two weeks or so the album has peaked with 8 out of 11 songs making it onto the Billboard top 100 songs chart. The songs are ranked from the 80th place and climbing. Indeed, what a time to be alive! Listen to the CLEAN VERSION here! This is such a good piece. Nice work!!! !